Charlotte-Upcoming Events: “Overnight with the Knights”. Every year the Charlotte Knights team up with the Boy Scouts of America to present “Overnight with the Knights”. It’s a chance for scouts to watch a game and spend the night camping in the outfield. Every year, scouts look forward to this game and enjoy their very own Field of Dreams! With over a thousand scouts expected to attend, tickets will sell out quickly and it’s sure to be a night to remember! The scouts will be able to enjoy a picnic on the field before the game, cheer for the Knights in person during the game, and experience the thrill of a movie night on the field itself after the game. Breakfast will be served the next day before departure. Purchase tickets now because this is an experience you don’t want to miss! As you join many others in a visit to the Charlotte area on your way to the Summit Bechtel Reserve, be sure to book your Adventure Tours with Soaring Eagle Tours very soon. With thousands of scouts coming to the Charlotte area they will fill up quickly! Visit soaringeagletours.com to book now! Sleepover after the game with movie on the videoboard! Click here to see Charlotte Special Events and Carolina proms Newsletters announcing SET! The Paul R. Christen National High Adventure Base at The Summit (SBR) is the newest high-adventure base in Scouting, the permanent home of the national Scout jamboree, and the site of the 2019 World Scout Jamboree. Through outdoor action sports and experiential learning programs at world-class facilities, the Summit fosters achievement, adventure, and innovation in Scouting. Between June 8 and August 16, 2014 your Scouting crew can get your Summit on in one of six seven-day programs. These include the Summit Experience, The River, Helmets and Harnesses,The Marksman,Wheels, and Adventure Photography. Expand your scouting adventure and explore Charlotte before and after your trip to the Summit with Soaring Eagle Tours! Our program tours are designed to get your adrenaline pumping for your High Adventure Base Program at the Summit and wind down after with fun, rest, relaxation and rejuvenation in “the Queen City” Charlotte, NC. Whether it’s flying high on the coasters of Carowinds Amusement Park or imagining the vibrations of engines as you tour Charlotte Motor Speedway, our “unique scouting tours” are sure to S.E.T your adrenaline and your imagination in motion. Every detail of your adventure is orchestrated by the staff at Soaring Eagle Tours. Our ultimate vision is to exceed the expectation of all participants, delivering unparalleled service and seamless program execution. Book now by 2014 and save 50$ on your tour! “As a Scouter I can strongly recommend Charlotte Special Events Group and Soaring Eagle Tours to anyone. In July 2013 they arranged for the Puerto Rico Council of the BSA our trip for a group of 161 Scouters who toured the Greater Charlotte Area before and after the BSA 2013 National Jamboree. Their Staff was superb and they accommodated all of our needs. Their service and professionalism were excellent and I can assure you that your Unit / Council will have a great time with Peter and his gang. Renowned special events and destination management company, CSEG announces the launch of their new subsidiary group Soaring Eagle Tours (SET). S.E.T. is founded and run by President Peter Cuocolo, bringing twenty-seven years of hospitality, event planning and touring experience together with the Boy Scouts of America’s newest national high adventure base Paul R. Christen National High Adventure Base, also known as the Summit Bechtel Reserve, in Mt. Hope, West Virginia. S.E.T. 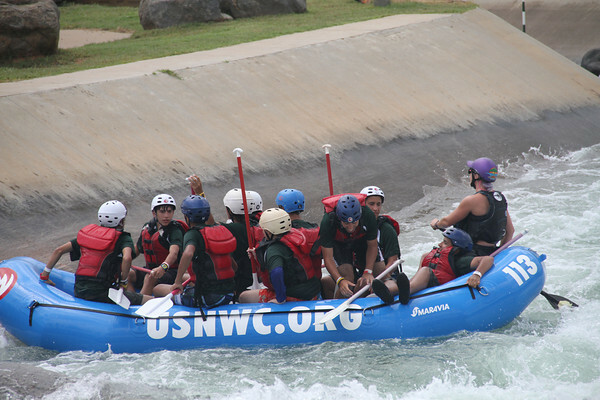 offers tour packages of Charlotte, NC and the surrounding areas for scouts who are attending “the summit” and participating in one of their six adventure courses starting the summer of 2014, and every summer after, as well as all future Jamborees including the 2017 BOA jamboree and the 2019 world jamboree. As you may already know Paul R. Christen National High Adventure Base was also host of the 2013 BOA Jamboree. S.E.T was thrown into this unique & specified tour group when they were hired to host the BOA Puerto Rico Council 2013 jamboree contingency. After a flawless execution (from 7/13/13 – 7/26/13), Hector Vina, the contingency program director, encouraged Peter Cuocolo to open up a tour company exclusively to handle BOA tours originating in Charlotte, to the Summit Bechtel Reserve and back to Charlotte. Attached you will find testimonials of this amazing adventure! S.E.T. is designed to get adrenaline pumping in Charlotte for the Scouts’ High Adventure Base Program at the Summit and wind down after with fun, rest, relaxation and rejuvenation back at Charlotte before they return home. 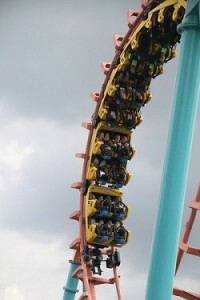 They offer a unique experience of Charlotte, bringing to the table years of experience and familiarity with “the Queen city” and all it has to offer including Carowinds, the U.S. National Whitewater Center, the NASCAR Hall of Fame and Charlotte Motor Speedway. Every detail is orchestrated by the staff at SET, including transportation, lodging, meals, unique team building programs and fun touring experiences of Charlotte. “SET’s ultimate vision is to exceed the expectation of all participants,” Cuocolo says, “to deliver unparalleled service and seamless program execution.” The S.E.T. website was launched on 10/9/13 and plans on hosting 500 BOA tours in the summer of 2014 for its inaugural year in business. Please visit us at www.soaringeagletours.com and like us on Facebook. Please check back here often for all the latest Soaring Eagle Tours news and updates.